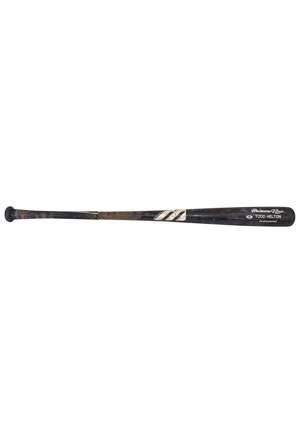 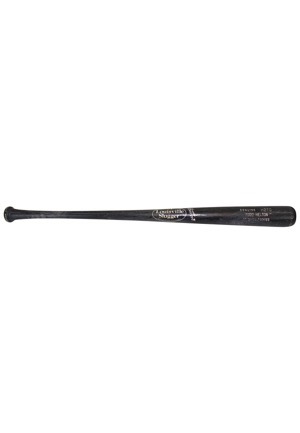 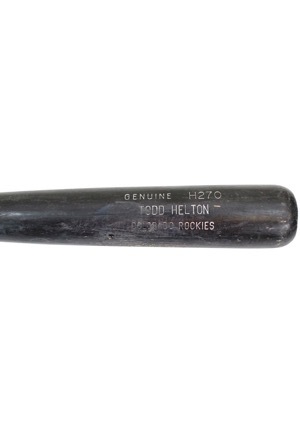 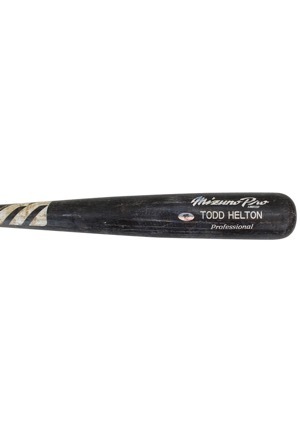 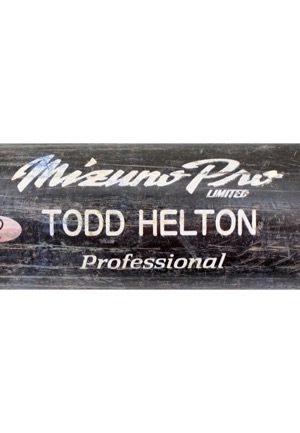 Two Todd Helton Colorado Rockies game-used bats. 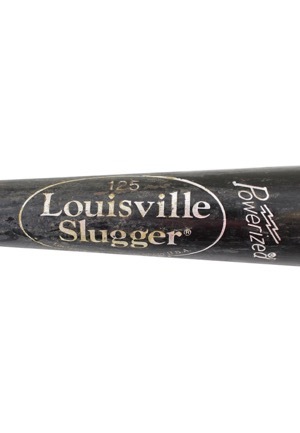 One Mizuno and one Louisville Slugger bat. 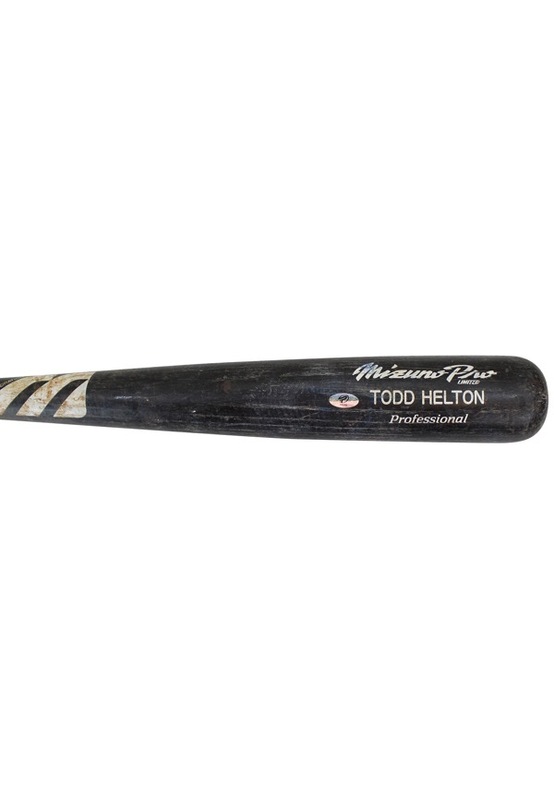 Both measure 33.5 inches and weigh 30.50 and 30.35 ounces. 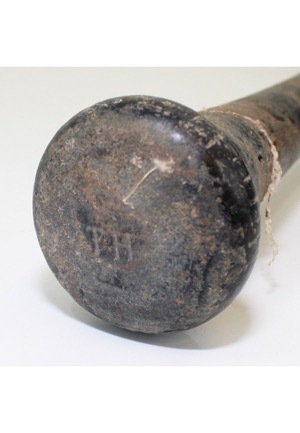 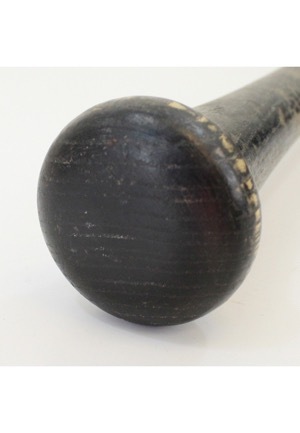 Both bats show evidence of excellent game use with ball marks, impressions bat rack marks and a coat of pine tar on the handle. 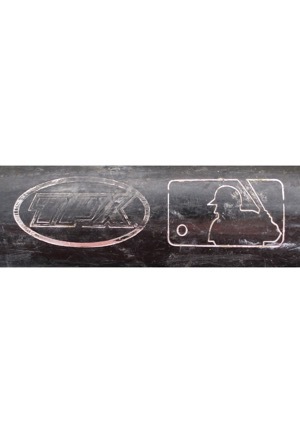 The Mizuno bat has a handle crack. 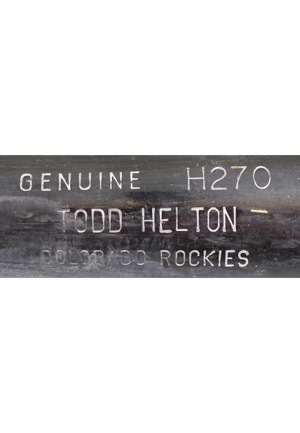 Accompanied by a PSA/DNA Pre-Certification letter.